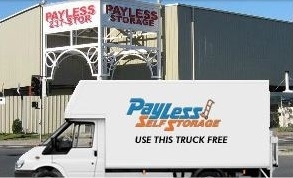 At Payless we pride ourselves on being the most convenient and affordable self storage in the bay area, with 505 off on all units for the 1st 3 months. We offer a FREE Truck and Driver to help you move in. We are a 100% solar-powered facility. 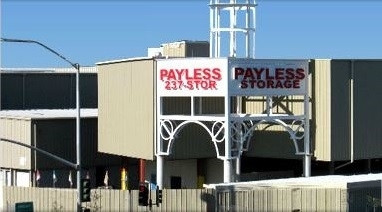 Payless makes storage a breeze so give us a call for the best storage rates in the Bay Area. Excellent first time experience renting storage space. Locating online storage space on sparefoot.com made the process easy as a first time storage renter. No misrepresentation or inaccurate information of the space that might work for me. When I called the property to talk to a real person, Lisa was courteous and provided additional information I needed. I met Sylvia to follow up with the paperwork who also turned out to be professional and very pleasant in understanding the terms of the rental agreement. A true pleasureable experience. Fantastic costumer service. Easily accessible. Friendly, efficient, helpful customer service. The property is very well maintained. They provide insurance for your stuff, a sturdy lock for your stuff & a driver with truck to move your stuff - all included with your rental. Excellent operation. This place is a real gem. Genuinely friendly, competent staff. It's very safe and secure. The storage space was spotless, entire property very well maintained. Made reservation online, received call from friendly Ena within minutes to confirm. They provide a lock, insurance for your stored items and a truck & driver to move your stuff - all included in the rental cost. Totally easy, they're lifesavers. Great service, the people were very friendly and were very helpful! I was a bit worried at first to see if all of my stuff was going to fit (since I am college student and was storing my apartment furniture). It was very spacious, and at a great deal! Excellent, great staff. Great service. Easy, well-priced.